Lincoln Park’s 5-acre lagoon was once the centerpiece of the park and hub for many recreational activities. However, it has since severely deteriorated due to significant sediment deposit, decreasing water level, and cattail infestation. This area now collects garbage and is a liability for other activities in the park. 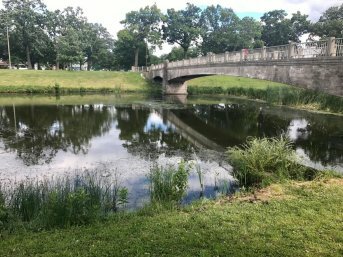 This $20,000 award will therefore support the City of Kenosha’s project to restore this lagoon by maximizing the ecological benefits that it can provide and reducing the inputs that degraded it. Project activities include dredging the lagoon, developing a landscape design plan, and incorporating green infrastructure.